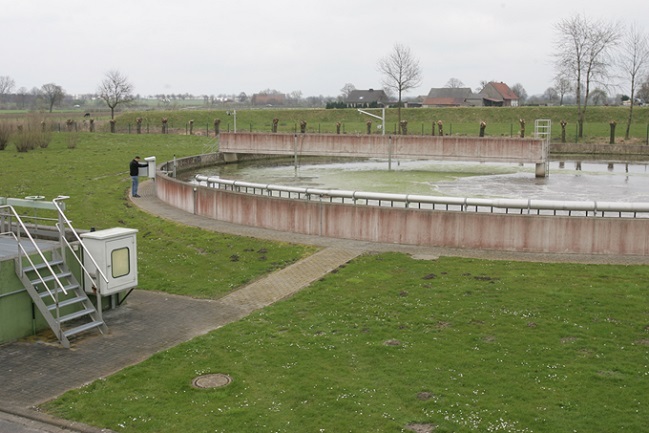 In September 2007 the Aqualogic® control system was installed on the process control system’s pc of the wastewater treatment plant of Erwitte-Nord. Linking the software to the existing process control system didn’t require any work in the control cabinet and could therefore be realised in no time after some precise, preparatory software work. For every aeration tank oxygen, ammonium, and nitrate nitrogen values are send to the Aqualogic® control system and processed in two independently working controllers. Additionally two Aqualogic® software modules were installed for load-dependent dosing of flocculants for phosphate precipitation. Aside from noticeably decreased energy consumption the reduction of overall nitrogen in the wastewater treatment plant’s outlet could be reduced by 74 % down to 1.2 mg/l. The consumption of flocculants could be reduced by 36 %. The actions taken could be refinanced entirely through already paid wastewater charges.